Gurus predict that blockchains will have an impact comparable to, or even greater than, that of the internet. However, predictions are easy to make. Making correct predictions is very hard. A more fruitful exercise is to study the past to extract lessons learned. This is less attention-grabbing perhaps, but in the end, pays off more. So where can we look in the past learn to learn lessons relevant for blockchain? An obvious place to look is the e-commerce hype before the year 2000, when gurus predicted the disappearance of intermediaries and the advent of frictionless commerce with zero transaction cost. Today, blockchain pundits predict the disappearance of trusted third parties by virtue of a shared ledger transparent to all. Which things went wrong, and which went right in the e-commerce hype of the late 90s, and what can we learn from this with regard to blockchain technology? One thing that went wrong during the e-commerce hype is that businesses were started without a clear business model. According to some studies, this was the prime reason for failure in half of the cases1)http://www.thetawer.com/wp-content/uploads/2011/10/a.-Analysis-of-the-failure-of-E-Commerce-Businesses.pdf. Take the case of furniture.com, which started in 1998 as furnituresite.com2)http://www.ecommerce-digest.com/early-dot-com-failure-case-studies.html. The company filed for an IPO in January 2000, but investors pulled out, losses became unsustainable, and the company failed in November that year. One of the problems was that furniture.com could not manage relations with over 200 furniture suppliers. This can be viewed as a software problem: The technology to track orders failed. But, typical for e-commerce, software problems are business problems. The failure of furniture.com was caused by a lack of business modeling. There was no model of the network of business partners needed to realize the value proposition and no quantitative estimate of the revenues and expenses related to running this network. And if revenues are smaller than expenses, there is no business. With blockchain, we need similar business modeling techniques to assess the commercial feasibility of a business idea. Just like e-commerce business ideas, blockchain application ideas are about IT used in networks of independent economic actors. These business ideas need to be tested on their economic feasibility. The business idea should be elaborated by modeling the network of companies involved, including the flow of products and services among them, and their accompanying cash flows to estimate expected revenues and expenses. And even more important than in e-commerce, blockchains are built on trust assumptions, where partners are anonymous and untrusted (non-permissioned blockchain) or trusted to a limited extent (permissioned blockchains). 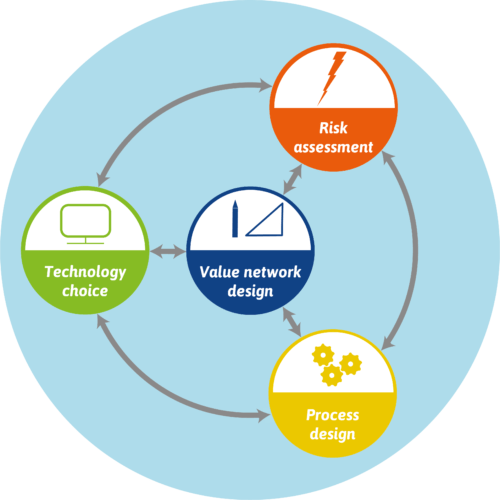 These assumptions should be made explicit and tested in simulations that provide insights into the business risks taken. Blockchain, like the internet, is a network technology and requires business models that make a map of the entire value chain needed to realize a business idea. e3value is such a technique. It has been used successfully by Triodos bank in the assessment of blockchain application ideas and helped companies adapt and finally adopt business models that were economically sustainable. Want to know more? 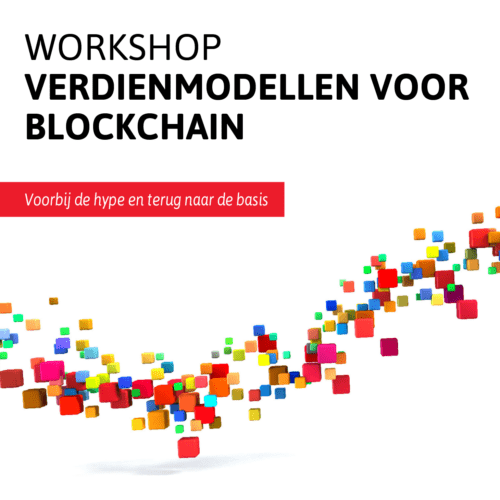 Sign up for our workshop on business modelling for the blockchain. Questions? Contact us at info@thevalueengineers.nl.